J.D. from American University, Washington College of Law in Washington D.C. 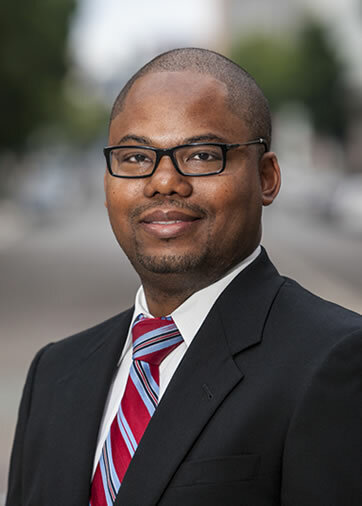 Judicial Extern to Honorable Erik P. Christian Associate Judge, District of Columbia Superior Court Washington, D.C.
As a former Assistant District Attorney in New York City, and an Assistant United States Attorney in San Diego, Mr. Cheeks has extensive experience with a wide variety of criminal offenses. From fraud and drug crimes, to human trafficking and bank robberies, he has investigated and litigated hundreds of cases. He believes that every person charged with a crime deserves a high quality and professional defense. Taking his prior experience in the criminal justice system into private practice, Mr. Cheeks provides his clients with thorough and superior representation. Mr. Cheeks counsels his clients through every step of the case, from the initial investigation or arrest though trial. As a private defense attorney, he is able to dedicate the time and energy necessary to ensure that relevant evidence is examined, alibis are explored, and witnesses are interviewed. If necessary, Mr. Cheeks also provides representation on appeal. In addition to working on criminal cases, Mr. Cheeks includes areas of civil litigation in his practice. He represents individuals who need assistance with employment issues, civil rights cases, personal injury, and torts, such as negligence. Mr. Cheeks also dedicates his time to the local San Diego legal community. He currently serves as an adjunct professor at Thomas Jefferson School of Law where he teaches a trial practice course entitled Federal Criminal Practice. The course focuses on providing students with hands-on experience with federal criminal law and procedure. Mr. Cheeks guides students through a federal case from start to finish, teaching them important oral advocacy skills and poise in the courtroom. He received his Bachelor of Arts in Political Science and Religious studies from the University of Miami, Florida and received his Juris Doctorate from American University, Washington College of Law in Washington, D.C. He is licensed to practice law in New York and California. Mr. Cheeks is committed to protecting the rights of each of his clients. Please call (619) 995-7828 for a free consultation if you or a loved one needs legal assistance.